A normal flight from London to New York takes around 8 hours with no layovers. What if I tell you, with the new jet coming in it will only take you 3 hours and 15 minutes to fly to NY? 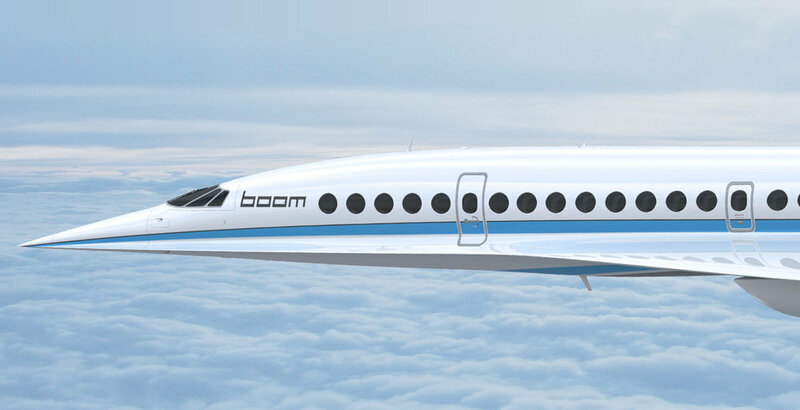 “We’re about to do structural tests, and then we’re probably about a year away from flight.” Boom CEO Blake Scholl told TechCrunch. Boom Supersonic claims its final product will be the “world’s fastest civil aircraft ever made”, capable of hitting speeds of 1,451mph, making it 10 per cent faster than Concorde and over twice as fast as other airliners. The prototype XB-1 will fly at 60,000ft and Boom Supersonic claims that it will cut the flying hours in more than half. Unsurprisingly, however, tickets will be extremely expensive, at up to $2,500 one-way, in either direction. Check out the video below about Baby Boom!